Oil producing countries measure the value of the U.S. dollar by the price of gold. When the Organization of Petroleum-Exporting Countries [OPEC] was formed, the value of the dollar was 1/35th of one ounce of gold. 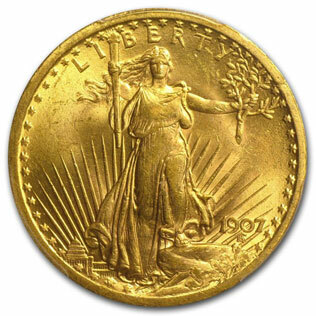 The dollar is now worth about 1/1,375th of a 1 oz American Eagle gold coin. Because of the dollar’s loss of purchasing power, oil producing nations have grown increasingly dissatisfied with dollars-for-oil. Scores of countries such as Iraq, Venezuela, Syria, Iran, and Libya have attempted to reject the dollar. The four African member-states of OPEC are Algeria, Angola (#2 oil producer), Nigeria (giant oil producer and the largest natural gas producer in Africa with huge natural gas reserves), and Libya (largest reserves). Under the leadership of Libya’s Qadhafi, African nations convened for monetary unification. Over several years, the leaders of fifty-three countries discussed the possibility of using the Libyan dinar gold coin and the dirham silver coin as the only possible money to buy African oil. Until March 19, 2011 [U.S./N.A.T.O. INVASION OF LIBYA], the gold dinar was issued by the Central Bank of Libya (CBL). The Libyan bank was 100% state-owned and independent. Foreigners had to go through the CBL to do business with Libya. The central bank issued the dinar, using the country’s 143.8 metric tonnes of gold. Qadhafi (African Union 2009 Chair) had conceived and financed a plan to unify the sovereign African States with one gold currency (United States of Africa). In 2004, a pan-African Parliament (53 nations) laid plans for the African Economic Community – with a single gold currency by 2023. The following African oil-producing nations had been planning to abandon the petro-dollar and demand gold payment for oil and gas: Egypt, Sudan, South Sudan, Equatorial Guinea, Congo, Democratic Republic of Congo, Tunisia, Gabon, South Africa, Uganda, Chad, Kenya, Suriname, Cameroon, Mauritania, Morocco, Zambia, Somalia, Ghana, Ethiopia, Tanzania, Mozambique, Cote d’Ivoire, plus Yemen (new discoveries). Africa has the largest unexplored basins in the world (besides Russia). More than twenty-four African countries produce crude oil; a larger number of countries have proven oil reserves and proven natural gas reserves (Namibia and Rwanda are large natural gas producers). Nov. 26, 2012: U. S. Defense Secretary Panetta announced an expansion of drone warfare in Africa. Dec. 24, 2012: The U.S. Pentagon announced deployment of military “teams” to more than 35 African countries. UNITED NATIONS MONETARY SYSTEM. In 1944, the International Monetary Fund [IMF] and the World Bank were created at Brettton Woods, New Hampshire to establish a global monetary system. The IMF is a privately-held U.N. central bank. In 1967-1969, internationalists developed an alternate world reserve currency called Special Drawing Rights (SDRs). Since then, all member nations have been pressured to accept SDRs as legal currency. World banks produce SDRs at no cost. They loan SDRs to countries at interest. Almost every Third World and Developing nation is in debt to the IMF or to the World Bank.